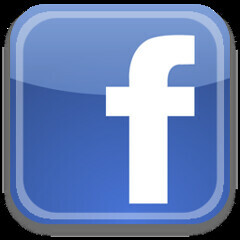 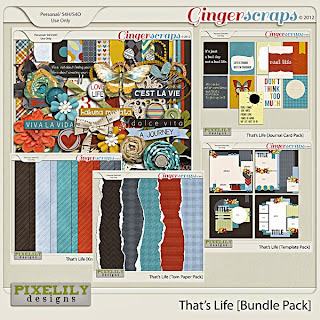 Are you looking for a great bargain to add to your scrapbook kits collection? 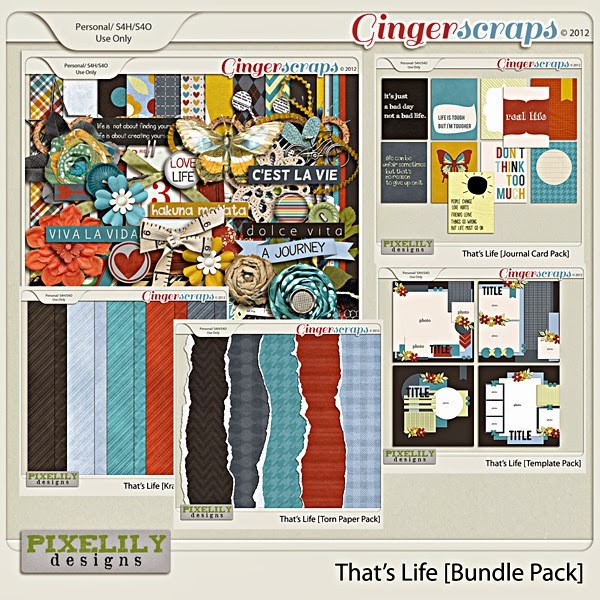 Get That's Life Bundle by Pixelily Designs at 60% off at Gotta Pixel or at Ginger Scraps. 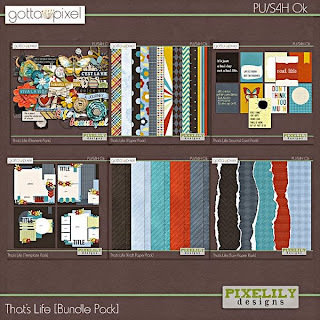 This is such a rich and amazing bundle to add to your collection. 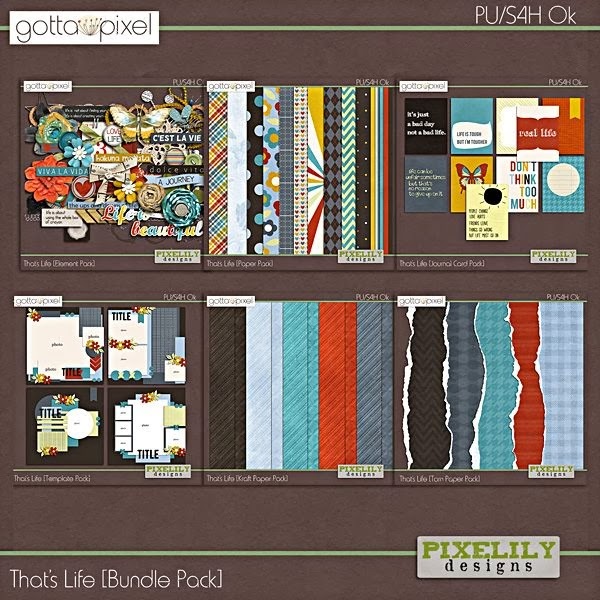 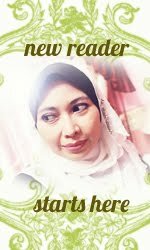 In this collection you will get : 1 element pack, 1 paper pack, 1 journal card pack, 1 template pack, 1 kraft paper pack and 1 torn paper pack.